Today is a day for another round-up of interesting pieces from across the web. Nothing too special, but hopefully a little intriguing. First up is Google Lighthouse, one of the many branches of the Alphabet behemoth and a pretty interesting little project. I haven’t actually managed to get it up and running, but I’ll definitely be trying it out on theAdhocracy some time soon (and probably weeping at the result). I don’t need to test it, though, to see it will be a very useful tool in battling the increasingly problematic issue of internet lag. Second is the article which led me to Lighthouse in the first place: AMPersan, by Ethan Marcotte. Not much to add to this one, just another voice adding weight to my uneasiness with the idea of AMP and similar projects. Well worth a read if you’re interested in the open web. In third place is a collection of ‘achievement’ stickers doing the rounds of the blogosphere right now. 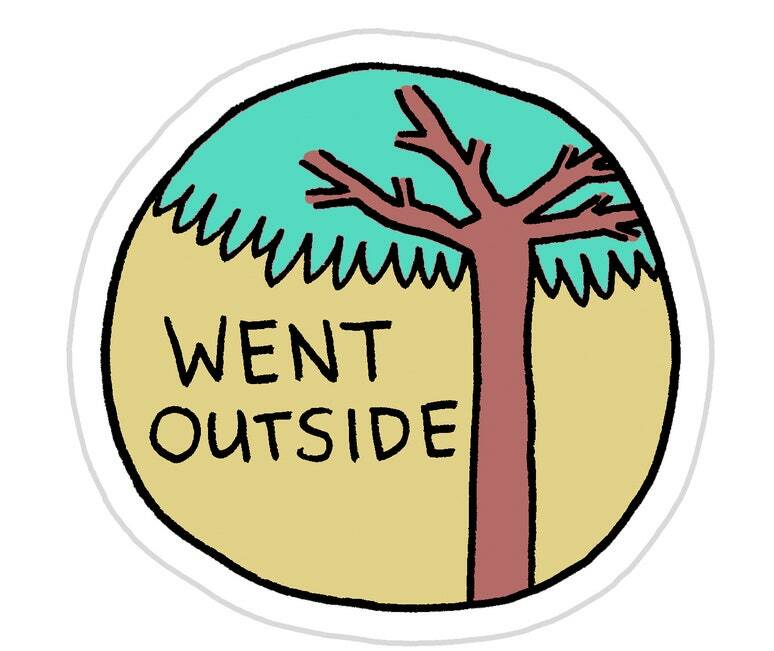 Originally designed by Jeremy Nguyen, published on The New Yorker and personally discovered via TheLogoSmith, the stickers are a humorous look at the pitfalls of being self employed. They’re specifically designed for freelance designers, but I feel a lot of them are applicable across disciplines. If you work from home, you’ll probably find yourself smiling and nodding. Fourth on the list is a simple article from Martian Craft outlining “The Importance of Routine“. The post is aimed at remote works and is far from news to me, but it is a well written example of how to apply this kind of thinking. I’m saving it here more to try and force myself into setting something like this up for my own free time. Finally, I was blown away by the “Lifetime Eclipse Predictor” visualisation created for The Washington Post (discovered via Source). In the wake of the recent total eclipse in the US, along with reading various posts on the rarity of such events, I’ve been left with a real urge to try and make sure at my path eventually coincides with a path of totality. It is a ridiculously awesome coincidence that our moon’s diameter and planet’s solar distance align so accurately. I mean, even if there are other life-hosting planets out there, we’re certainly one of an incredibly small number that can witness this phenomenon. That makes it practically a responsibility to see a total eclipse, at least once. Their immediate need was a revamped website, but once they understood that this need paled in comparison to all of the other places they could have an impact on their customers’ lives, they began talking excitedly about how to make this vision a reality down the road. Let Emotion Be Your Guide is a wonderful article from Hana Schank and Jana Sedivy (published on A List Apart) which has taken me far too long to actually sit down and read. It’s worth your time pretty much regardless of your own career path, but personally it reminded me of some of the little reasons I enjoy the path I’ve chosen. Whilst websites are a core point of contact for many businesses and deserve a rigorous, reasoned implementation the reality is that they are likely only one of many such points of contact for your customer, and each is just as important as the next. What’s more, the best practices and strategies employed in developing a good digital foothold aren’t just applicable to the web. Increasingly, the way we think about UXD online is no different to the way we should think about every aspect of our lives. Putting empathy front and centre of your decision making is not just good practice: it’s the only method that makes sense in the long term. New features, applications, websites, brochures or whatever else are only useful if they solve a real problem, and you won’t know what the real problems are unless you talk to, and empathise with, other people. Reddit has once again directed me towards a very interesting online resource: Interneting is Hard! The website is beautifully illustrated and boasts a very elegant design structure. There are a couple of cross-platform inconsistencies but the quality of the content and layout is excellent. A quick overview of some of the sections has highlighted the knowledge on display is equally well thought through. Overall, a very impressive find that I look forward to diving deeper into in the future and a great introduction to web design. it hasn’t gotten much easier to explain to the uninitiated what, exactly, a card is. Because here’s the thing: as much as I love reading about web design, I am still very much a member of the “uninitiated”. I can tell because I still have absolutely no idea what a “card” is. I realised this (yet again) thanks to a recent article that cropped up in my RSS feed. I’ve been singing their praises recently, so hopefully Zurb won’t mind too much if I point to 5 Common Mistakes Designers Make When Using Cards in Design as a prime example of 1 Common Mistake Web Designers Make When Talking about Cards, chiefly, that what a card is fails to be defined anywhere. Perhaps this whole situation is just down to me. Maybe I’ve fallen so far behind web trends that my outdated ways of attempting to understand “cards” are just not up-to-scratch. But, frankly, there doesn’t seem to be much help out there. Early articles on using “cards” in design tend to paint a picture of API driven, cross-platform data sharing. A sort of standardised method of pushing/pulling content from/to various web apps; an ecosystem of information, if you will. That all sounds interesting and pretty great, yet presents a concept that is simultaneously vague and highly technical, creating a perfect mixture for people to be excited about yet confused over. Yet “cards” are also used to describe certain design styles. In that linked Awwwards article a number of examples of “good card-based web design” are cited. Some, such as Dribbble and Pinterest, appear to be examples of the information ecosystem mentioned above. But then you have websites like White Frontier, which whilst being a great example of web design do not appear to have any form of content interaction or applicable data extraction methods. Yet these designs are, apparently, just as “card based” in their makeup. As far as I can tell from Googling around the subject, “cards” are just rectangular content areas situated on a website. They might pull in information from a third party, they might just be a stock photo and a strapline. The article I initially quoted comes to a similar conclusion, that cards either fit into the “design” or “third-party” camps, which doesn’t seem particularly useful to me. If they’re just a design style then, really, they’re just a particular way of presenting content; a way which, ultimately, seems pretty much identical to how most people have always done it. If they’re only to be used when pulling third-party data then we need a tighter definition, because I don’t feel anyone would be happy suggesting iframes are all cards. Currently, their only unifying factors appear to include being responsive, rectangular and online. So perhaps that’s all there actually is to them, which would be rather neat. If that is the case, then I can happily claim to have been making card-based websites since 2007, putting my well ahead of the trend! Hidden Logins: Why oh why! There’s a trend amongst modern websites and web apps that is becoming increasingly irksome: hiding the damn “Login” button! If you require me to have an account to use your service (which makes sense), then I don’t think it’s too much to ask that the actual method of logging in is clear and obvious. However, in reality, a lot of websites (social media and web apps seem to be the worst, particularly those that operate on a semi-freemium model) practically hide the “Login” button or link. Go to Workflowy.com and play “hunt the button” or Evernote.com and realise what you want appears to be fine print! To be clear, I understand that for most of these services new users are the primary purpose of their home page. Sure enough, in most cases the clearest button or action is “Sign Up”. My annoyance is that, actually, the return users are the people that home pages should probably care about. We’re the ones that have chosen you as a service, the ones with a history with you and the ones that are most likely to opt in to paid for extras or subscriptions further down the line. High monthly sign up rates look great on paper, but the reality is that without a large, steady user base, no service will last that long. I also understand that this isn’t an intended part of the user interface. Companies aren’t actually hiding the “Login” option two or three levels deep; it’s usually present on the home page, but I frequently have to hunt for it. Part of this is simply because the “Sign up” option is often too eye-catching, drawing my focus away from everything else and then frustrating me when the option I want isn’t clear. Workflowy is a prime suspect. Their homepage draws your eye to the large, centre aligned and bold “Create an Account” action – indeed there’s barely anything else on the page! Unfortunately, it means that the “Login” button, which is decently placed, coloured and clearly outlined, is completely outside of my sphere of focus. All that I ask is that “Login” becomes just as clear and obvious from a user’s perspective as “Sign up” certainly already is. Twitter is a great example: both buttons are side by side, with Login actually slightly modified to stand out clearly in a location that a lot of websites use. It’s clear, concise and doesn’t detract from the options to create an account; it just makes it simple for those long-time users to find what they want, as well. Author MurrayPosted on March 17, 2016 Categories Design, OpinionTags Argh, Login, UXD, web design, WorkflowyLeave a comment on Hidden Logins: Why oh why! Ah, the good old “Gouty-Stem Tree” of Australia! Actually, I honestly had no idea that Baobab’s had reached the Great Land of Oz; I have (mistakenly) always assumed they were endemic to Africa, but apparently not. But, apologies tree-lovers, this is not a post about these wondrous, bulbous monsters of the savannah but rather how I came to learn about them in the first place and, importantly, why I can share the above image without any worries of reprisal. 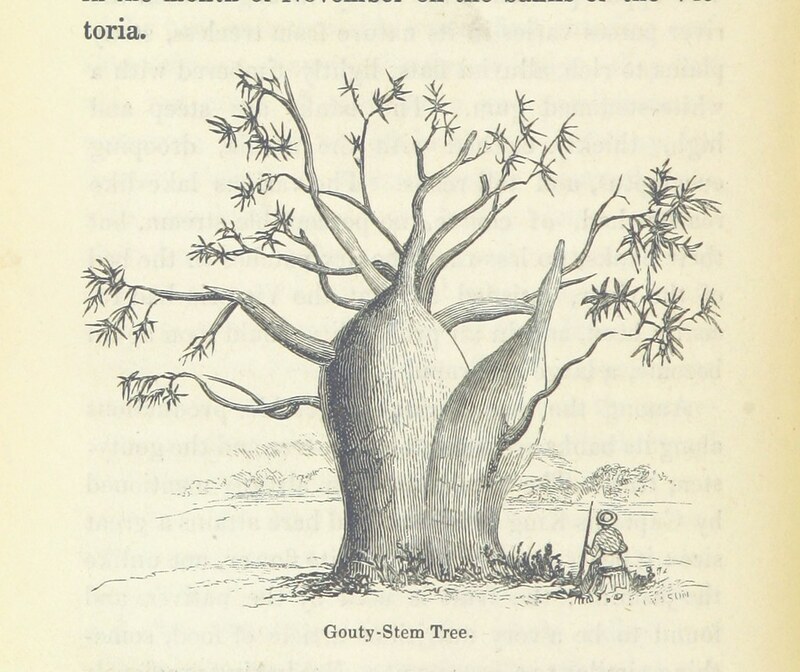 The “Gouty-Stem Tree” (the image, not the plant) is an illustration taken from John Stoke’s book “Discoveries in Australia; with an account of the coasts and rivers explored and surveyed during the voyage of H.M.S. Beagle, in the years 1837-43“*. Not a book I’ve ever read (or actually seen), sadly, but one of hundreds that have been archived and “digitised” by the British Library to help preserve and catalogue their huge collection, which is all available to the public. Better still, this particular image, alongside hundreds of similar engravings, etchings, drawings, maps etc., has been released as part of a side project of copyright free pictures (due to the age of the books), all made accessible and shareable via Flickr. You can check out the full, ever expanding collection over here (its definitely worth it). A friend pointed this out to me, largely for use in world-building, writing and LARPing exercises (more her forte, sadly) but personally I can also see a very valuable resource for designers, with some fantastic wildlife imagery that I’m itching to incorporate into some future projects. Happy hunting! * I have no idea if this refers to the H.M.S. Beagle, of Darwinian fame.